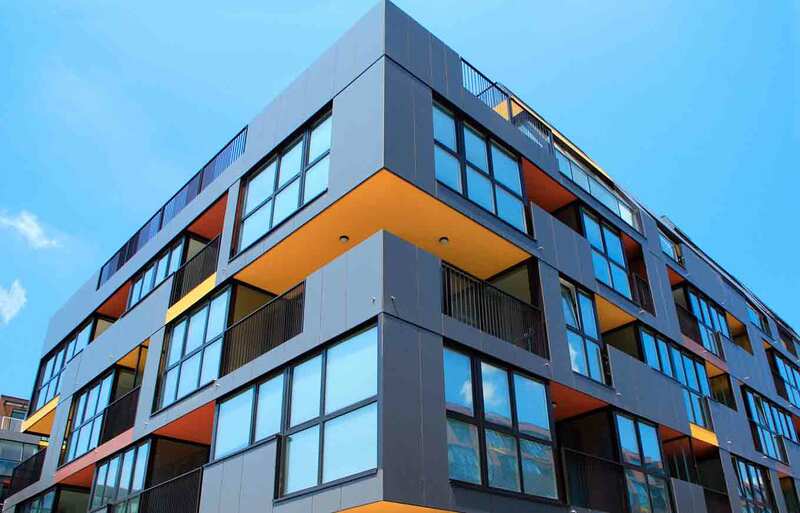 Condominiums make an affordable alternative to purchasing a single-family home. As prices continue to rise in many markets, purchasing a lower-priced condo makes for an attractive choice in pursuing home ownership. Buying a condo is different than buying a traditional single-family home. Here are some terms that are important to understand in the condo-buying process. PITI – This is an acronym for principal, interest, taxes and insurance. PITI is a way of looking at your total monthly mortgage payment that includes the carrying costs associated with owning a home. Homeowners Association (HOA) Dues – Commonly referred to the monthly homeowners association payment, your HOA costs can by anywhere from $80-$500 per month. This varies from home to home. Private Mortgage Insurance (PMI) – This insurance is required when buying a property with less than 20% down. PMI is also factored into the total PITI as is the homeowners association payment. A homeowners association is a legal entity, a governing body made up of the Board of Directors, which controls the budget of the complex and/or the community in which the property is located. The association has specific property characteristics creating uniformity amongst the units within the community or the complex the HOA oversees. This is why condominiums typically look similar to each other. Each unit owner is responsible for his or her monthly HOA payment, which takes care of ensuring the complex standardization. A condo is an opportunity for a would-be homebuyer to purchase real estate for substantially less than a single-family home. A pricing difference of $100,000 is not uncommon. How Is It Different From Buying a Single-Family House? To give you a cost breakdown of how buying a home and buying a condo is different, take this hypothetical: A condo priced at $200,000 and a single-family house priced at $300,000 using a 30-year fixed-rate mortgage at 4.375%. Let’s assume a down payment of $20,000 on each. In exchange for $100,000 in buying power, you get a monthly payment difference of $293 per month. In this example, that’s 73% of the HOA payment. Because of the weight on buying power a homeowner’s association payment has, it would actually cost more on a monthly basis for a condominium than a single-family even at the same purchase price. Because unlike the house, the homeowners association payment is an additional fixed carrying costs that does not fall off or go away the way an ancillary fee can such as PMI can (upon accumulating 20% equity). Mortgage tip: The most important factor in deciding to buy a condo is knowing how much effect the HOA payment has on your buying power in terms of sales price. The more money you have to commit every month to an HOA payment, the less money you can afford to pay the lender, which will limit the loan amount you will be approved for. Due to their specific rules, regulations and adherence guidelines, HOAs always have the chance of opposition from a disgruntled homeowner. It is quite common associations have ongoing litigation issues from disgruntled homeowners, which can potentially make getting a new mortgage on a condo problematic. The key is to make sure the property is lendable and that there are no warranty issues associated with the complex. Lenders will see red flags if the complex is unwarrantable to Fannie Mae or Freddie Mac, meaning undeliverable to either agency due to unfinished units and costly litigation stemming from other parties. Your real estate agent could be the best source for finding out upfront whether your financing options may be limited due to warranty issues. Occupancy – If your intention is to rent the property out upon closing escrow, your interest rate and costs will be higher than they would be if you live there as a primary or secondary home. A Low Down Payment – If you have a low down payment (like 5% down), you’ll need a high loan-to-value mortgage such as 95% financing. This will bear a higher interest rate since you have less skin in the game.. So what’s the big takeaway if you’re planning to to buy a condo? If condos are priced significantly lower than single-family homes in your area, you could stand to benefit. Buying a condo can also be a good starter option for accumulating home equity and upgrading later. Actually, depending on where you are looking that example will be flawed. Say for example someone is looking to buy in NYC–there aren’t many developments with HOAs. But, if you look at a place like South Florida, there are many, many developments with HOAs, so it would require more money to be allocated to monthly housing expenses. Scott Sheldon replies: Eric agreed, whatever expenses are in the HOA would be considered as a long-term housing carrying cost. The key is that if they are built in the HOA Bennett will affect the debt to income ratio and/or subsequent buying power. Many thanks for the feedback.